We are running the Breast Course for Nurses in a different way this time. 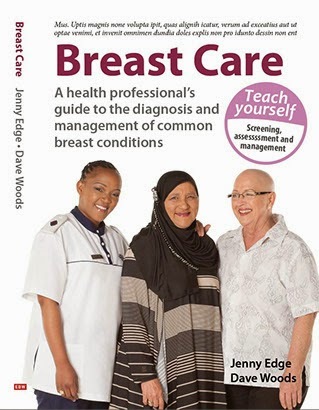 We have extended the course to include sessions on the management of breast cancer. (The Breast Course for Nurses has grown out of the PEP series). The principle is that our job is provide health care workers with relevant accessible material. We asked all of the nurses present at the course on Monday to take part in the teaching. Jasmine spent the evening studying her book and gave an excellent lecture on the normal breast. We gave her the slides, she studied her manual and the result was a comprehensive summary of the subject. Sr Sue is one of the nurses working at Parirenyatwa Hospital. She gave the lecture on lymphoedema. Proud, Thembie and Loice took us through the exercises. Sue also arranged for us to have the session on examination of the breast in the school of nursing. It made the clinical situation far more realistic. A lot of men attended the course. They volunteered as patients and we were fortunate enough to have 2 patients. In the afternoon, we had a discussion on what can be done to increase awareness in the community. Many interesting ideas came out of the discussion. There has been a lot of work done to target HIV positive patients and many women attend for cervical screening regularly. Many nurses felt we should look at how that has been achieved. Can a similar programme be run to increase breast cancer awareness and can the stigma attached to having cancer be challenged. Zimbabweans pay an HIV tax. Is cancer becoming a big enough problem to justify a cancer tax? The course has been organised by Dr Anna Nyakabau. She has been supported by Parirenyatwa Hospital. At the beginning of the day, we had a formal opening ceremony attended by Dr Kanyowa (WHO representative), Dr M Chemhuru (Ministry of Health), Mr Mangwanya (Ministry of Health), Mr Banhwa (UZ School of Radiographers Director), Rumbidzai (Parirenyatwa Public Relations Representative), Dr Anna Nyakabau (oncologist) and Prof David Woods who was travelling with us from South Africa. Later in the day, we were joined by 2 ministers: Ms Prisca Mupfumira (minister of labour) and Tholakela Khumalo (MP). We were very pleased that they chose to stay for the discussion as to the way forward. ﻿﻿The course has been generally sponsored by many people. I will list them all in the next few blogs. To start with a few, Dr Costa Maonei has been present for the whole week and represents Novartis. They paid for our transport and accommodation. We would also like to thank CIMAS, Pathcare, Sky Pharmaceuticals and the catering department!